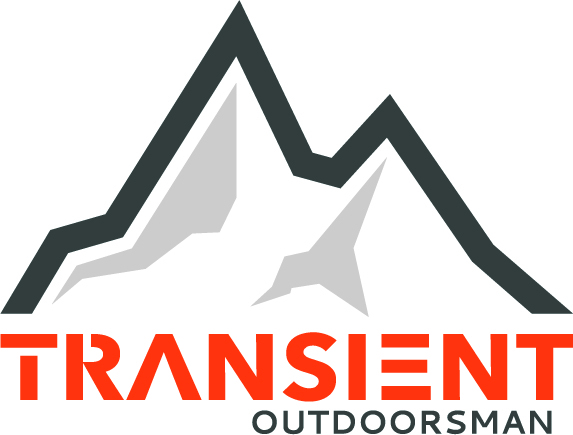 Transient, [tran-zee-uh nt], adj. - Moving across a space, and then disappearing. Hasty. That which remains for a brief time. Movement is critical when in pursuit of big game. As it pertains to firearms used in mobile hunting, mass is in many ways the enemy. Luckily for the modern hunter, there’s never been a time in which we’ve been able to reduce the weight of a rifle while maintaining accuracy and durability as much as now. The Evolution of the Ultralight Rifle (EUR) is a six-part article series which discusses the progression of major rifle components. We’re tapping the industry’s leading manufacturers for information on how they’re utilizing state-of-the-art materials and techniques to drive lightweight accuracy. Find us on Facebook, Twitter and Instagram to keep up to date on the EUR series. With that in mind, let’s talk about the truly accurate, lightweight options available. You can buy one, build one, or modify a factory rifle. A few manufacturers provide turnkey, long range, lightweight rifles. No doubt it’s the easiest, fastest route to getting a feather-light bug-hole shooter, but it’s typically cost-prohibitive for a guy like me. PROOF Research is one of the front-running, high-end rifle manufacturers, though there are others out there. Building a rifle from the ground up can cost significantly less than buying one and can be a ton of fun. It’ll teach you a lot, including patience. To clarify, when I say build a rifle, I mean with the assistance of a very good gunsmith. I can do minor stock alterations and swap triggers myself, but I’d never attempt to machine components or mount barrels at home. Rather, when building a rifle, I order all the components I want and ship them to my gunsmith for assembly. I also know a “stock guy” who does any of the more intricate bedding and barrel channel modifications. He’s a true artisan. More on all that in a later EUR series. If you’re interested in modifying or building a rifle, and want to know more about what’s entailed, we’ll be making numerous EUR Build videos that cover the process. We’re ordering components for our next build right now, and will discuss each as they arrive. The rifle will be chambered in 6.5 Creedmoor, and we’re hoping it’ll weigh less than seven pounds with a scope, while still capable of punching half-MOA groups. You can follow the video series just to learn, or you can build along. We’ll share gunsmith contact information and would love to field any questions you may have. That’s an opinion, and I respect it. Here’s another: The rifle hunter of today faces bigger obstacles than those of yesteryear. Almost without exception, there’s less public land to hunt. Greater quantities of private land are leased out or locked down. There are generally more hunters than at any time in the past, and pressure is higher. Tags are harder to draw in most units across the West, and access gets tighter every year. The admirable conservation efforts of the hunting community have resulted in mostly stable animal numbers, though populations are typically lower than older hunters may recall from the golden years. Furthermore, the introduction of the Grey Wolf to the Rocky Mountain States (notice I did not say “RE-introduction”) is a colossal threat to numerous species. My argument in favor of the modern, ultra-accurate rifle is one of increased lethality at ethical ranges, resulting in less wounded game. Depending who you ask, lighter weight and modern optics yield better opportunities in a time when those opportunities are tougher to come by. Despite owning a rifle that’s capable of punching tight groups at 1,000 yards, I’m very unlikely to point it at an animal beyond half that distance. Self-control is key; shooting within your own capabilities and those of your rifle are paramount. It doesn’t matter if you’re using a 30-30 from 1955 or a brand new, custom-built Ultra Mag… there’s an ethical distance for each established by both ballistics and the ability you’ve achieved through hundreds of rounds of practice. By exceeding it, you’ve broken the agreement every sportsman inherently makes with Mother Nature upon stepping out of the truck. Check out PART 2 of the EUR here, where we cover carbon fiber barrels.